Artists Alex (L) and Shae Warnick birding in Indiana. They happen also to be twins. "Birds in art" is purposely a pun title I'm starting. 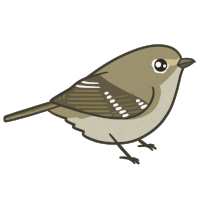 I want to feature more about birds in art, sure, but also the "birds" depicting them. If you read earlier posts, you know I am capable of a few puns, especially of the flora and fauna variety. 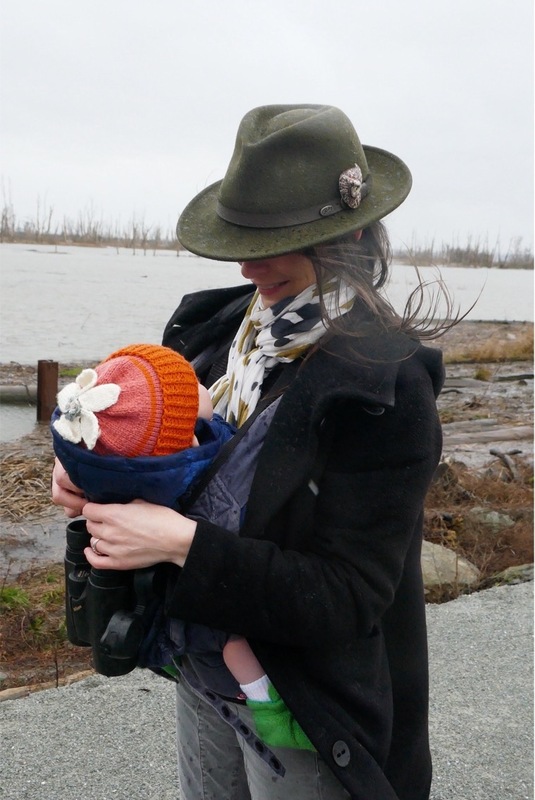 I want to promote the work of other gals in the field, whether they be writers, birders, artists, scientists, educators, you name it: If she shares a love for birds then I notice her. Or in this case, them. Alex and Shae Warnick are two women after my heart: they are both birders and professional artists of nature. What's more, they are identical twin sisters. My own twin sister Gilia discovered Alex through Instagram and alerted me of these two young artists focusing specifically on birds for their craft. Birds in art isn't just an interest of mine; it's my heritage. Gilia and I grew up with an artist and conservationist dad whose passion is birds. Despite four daughters who embrace conservation and birding, none of us has taken up dad's reins as a visual artist of birds. I have kept an eye out for who might continue this legacy, in particular among female artists, since that is my own demographic. Birds in art is a niche art form, historically lumped in with natural history, field guide or Western (as in cowboys) art. It's long been dominated by male artists much like the contemporary art world. Andrea Rich, Debbie Kaspari and Julie Zickefoose are all contemporary female artists depicting birds in their work. And they are also artists for conservation (that seems to go hand in hand!). They are established, awarded, published and prolific. But who is the next generation? Alex Warnick's Mourning Dove, a depiction in progress as shared on her blog. That is why Alex and Shae so caught my attention. Not only are they technically talented young artists, but they have both chosen to focus on birds. Their path to art and natural history is both parallel and individual (don't I know this as a twin--identical twins may be clones but we are distinct people). Over email and following each other on social media, I've gotten to know Alex. The dual facts of our birdiness and each being a twin sustains a warm exchange, and she agreed to answer questions about her craft (as well as enlist her sis to answer some too). Below is the interview which is mostly in its entirety. Shae Warnick study of Belted Kingfisher skins. 1. On your blog Alex, you said you decided to focus on birds specifically, over other fauna. Why? (Alex) Even though I have a fascination with all areas of nature, I’ve chosen to focus my work on birds because they’re what I have the most personal experience with. I painted landscapes and portraits in college and always struggled with inspiration and motivation. It wasn’t until I switched to birds that my work took off. Painting birds feels authentic to me. It made sense that I would use the aesthetic knowledge and skills I’ve obtained to portray the things I’ve been aesthetically admiring my whole life. Restricting myself to birds doesn’t feel limiting. I have no doubt that birds can provide a lifetime of inspiration. 2. How have you each made a living as artists? Do you support yourselves solely through artwork, grants, sales, commissions? (Both of us) Making a living at being an artist is a work in progress for both of us having only graduated from college within the last year or so. Currently I support myself through sales and commissions and have only recently begun to apply for grants. Shae has been putting together portfolios, getting ready for graduate school, etc. as the next steps in her journey to making a living as an artist. 3. Shae, what influences your very distinctly different rendering of birds in your artwork? Many of your shadow images are of skins; what drew you to render birds in this form? (Shae) For most of my life, I developed skills as a representational artist, but finding joy in the process was hard going. It wasn’t until I began working with intaglio printmaking—with its emphasis on experimentation, varied processes, and negative space—that I started to really resonate with what I was doing. Alex and I paint very differently. A lot of the stylistic differences in our work are incarnations of what we most enjoy about the painting process. As an artist, Alex loves the planning and the thrill of arriving at an envisioned outcome (sort of like making dreams come true). For me, I’m much more excited by potentials than planned outcomes and the physical/experimental/exploratory process of painting. Not only do my abstracted, silhouette renderings give me the chance to “walk around” birds and see them “obliquely,” studying specimen skins in natural history museums has opened a completely new “vista.” I can’t overstate the impact of holding birds in the hand, seeing dozens of the same species side by side, and interacting with people who are eager to share a staggering breadth of knowledge. The time spent indoors in natural history museums has greatly informed my time spent outdoors in nature. By creating paintings from specimens, I also introduce an invisible human element to all of my work. I see the end result as a “collaboration” with naturalists. They prepare the skins, pin the moths, press the plants, and their specimen arrangements become my compositions. Human beings are the stagehands of my images. I feel this enhances the messages I am most passionate about, messages about our coexistence with nature. Not just the large-scale, awe-inspiring nature far removed from our day to day living, but the understated nature we live in that must be noticed to be appreciated (and protected). 4. Shae, your mission statement says you want people to see what is right around them in the suburban and urban setting, and value and protect the life that cohabits with us where we are, not just in national parks. this seems a very accessible approach and how does your work do that? In your opinion or examples (such as commission work for clients who support conservation etc)? (Shae) I will continue to work closely with local museums and wilderness areas to create bodies of work based on localities. By highlighting little known or overlooked species, I hope to help people become aware of and excited about the unique ecosystems they live in. Perhaps the curiosity my paintings ignite will kindle a few people to become Willa Cathers for their own yards and communities. 5. How old are you and where do you live? (Both of us) We’re 28 (turning 29 in September). We’ve spent the last eight years living in Idaho, Arizona, and the Philippines, but have currently returned to our home state of Indiana. We went to the same university and lived together for two semesters. (Midway through school) we headed to the Philippines to serve missions and didn't see each other for almost two years; only writing letters back and forth. After returning home to finish university, we have lived separately. If we lived together, all we had to do was look out the window, see if the sun was shining, then conspire to skip class and go birding. I'm speaking from experience! We tell people that we don't walk the same path in life but we do walk parallel paths right next to each other! 6. What are your favorite birding spots or places to admire birds (could be a museum)? (Both of us) The wonderful thing about birding is you can find a favorite birding spot in whatever corner of the world life takes you. In Idaho we loved owling in Targhee National Forest or driving to Utah to catch waterfowl migration at Bear River Migratory Bird Refuge. In Arizona, Tonto National Forest was our go to for Black Hawks and Painted Redstarts. In Indiana we love traveling to local wildlife sanctuaries and refuges all over the state, but a flooded field along a country road near our home provides some of the best shorebird potential. 7. What are your long term career goals? (Alex) My long-term goals are currently being formulated. Obtaining a high level of skill so that I can create the work I envision will be a lifetime pursuit. Hopefully I can reach the level where my work can achieve two goals: Do justice to the admiration of birders and bird admirers everywhere, as well as incite new interest in those who may have never noticed birds before. 8. What artists do you admire and why? James Prosek is a favorite of ours because of his combination of representational with abstract. He paints like Winslow Homer, but his work has a bold graphic element to it. His shapes are almost "cut out", which is something you find in both mine and Shae's work. Since we were kids we've loved field guide illustrations, scientific illustrations, and natural history illustrations that take a bird out of its environment so it can be studied on its own. When I see a lovely bird in the field I always wish I can pick it up, put it in my pocket, and take it home to in order to study it closer. I guess that's what I get to do with my paintings. Another element of James Prosek's work that I like is that he often focuses on individuals. I rarely put more than one bird in a painting, unless it's a field-guide format illustration. Putting more than one bird creates an interaction between the two birds when I really want the interaction to be between the bird and the viewer. It also creates a stillness in the composition, which I prefer. Lars Jonsson and many like him are favorites because of the obvious expertise they've developed in the field. Lars Jonsson is so familiar with birds that you can tell his work is executed confidently and swiftly. Also the marks he makes with his brush are lovely in themselves. Focusing on lovely brush strokes without sacrificing anything to them is a quality I hope to achieve one day. After a lifetime perhaps. We both love abstract artists. Talented abstract artists are inspiration for any painter since many of them develop a high level of expertise in elements of design. They've discovered so many fascinating ways to use colors, textures, lines, etc. Shae has a slew of female abstract artists (whose work influences her own): Agnus Martin, Helen Frankenthaler, Joan Mitchell and Lee Krasner. The same influence comes from other mediums as well: I love the work of Sherrie York, and reference her work frequently. Her linocuts simplify color and composition in a masterful way. Her Wood Duck linocut in the Leigh Yawkey Woodson Art Museum's 2014 Birds in Art show is one of my favorite bird illustrations of all time. Even though I work in a different medium, I love the work of print makers and sculptors because they simplify form and composition in original ways. Interview conducted over email March 2016.